Online courses are considered to be one of the greatest revolutions in education. 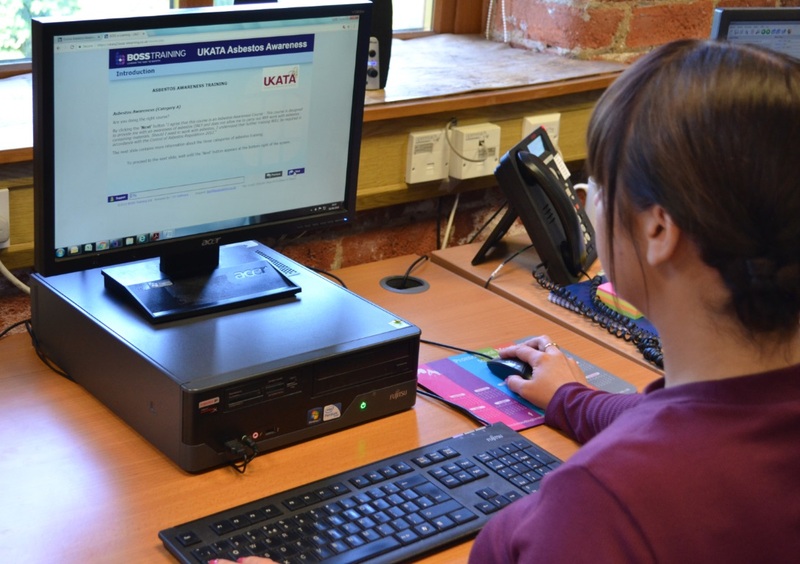 Here at Boss Training, we have definitely seen an increase in demand for our Online Health and Safety Courses and the UKATA Online Asbestos Awareness Course. There are many reasons why we believe e-learning or online training can benefit a business, and in this blog we’ll take a look at why these courses are increasing in popularity. 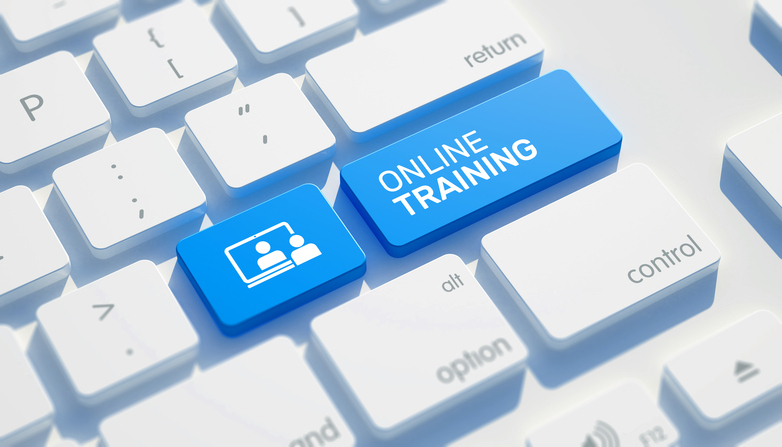 Online training, or e-learning, is a distance learning method where, using the internet and watching pre-recorded videos and module materials, a student is able to complete a course of study and achieve a qualification. It’s important that the qualification is certified by an industry regulatory body so that the certification has industry value and professional status. A traditional learning environment may not be suitable for every learner. For example, students who have physical or psychological disabilities could be severely disadvantaged if they’re faced with attending a course which is only available in a physical classroom. Online courses can be accessed from comfortable spaces such as an office at work or a desk at home. For businesses looking to promote learning with equal access, online learning is the ideal solution. Online courses also allow students to study a subject which may not be available in a nearby area. If there are specific qualifications which need to be achieved, location is no longer a factor; anyone in the world can complete an online course. Both individuals and companies booking online courses benefit from the ability to study remotely. Working through content on their own time allows students to study outside of their standard working hours. This is ideal for students looking to achieve new qualifications and also busy businesses that are not able to allocate time during the working day. Whether you are a full-time employee looking to expand your skills in anticipation of advancement opportunities, or a business whose employees do not fit a traditional 9-5 schedule, an online course can be completed 24 hours a day, 365 days a year. Forget about sitting for hours in an uncomfortable chair in a classroom; instead, work through a course in the comfort of your own home or office. It’s easy to find time during your regular day to study, with many people working through content on their lunch breaks, at work or whilst commuting. One of the key benefits of studying online is the ability for a student to set their own pace. In a classroom, a tutor will attempt to match the needs of the majority of students, but this is not always ideal for those who prefer working at a faster or slower pace. Online learning makes it simple for anyone to learn at their own pace. 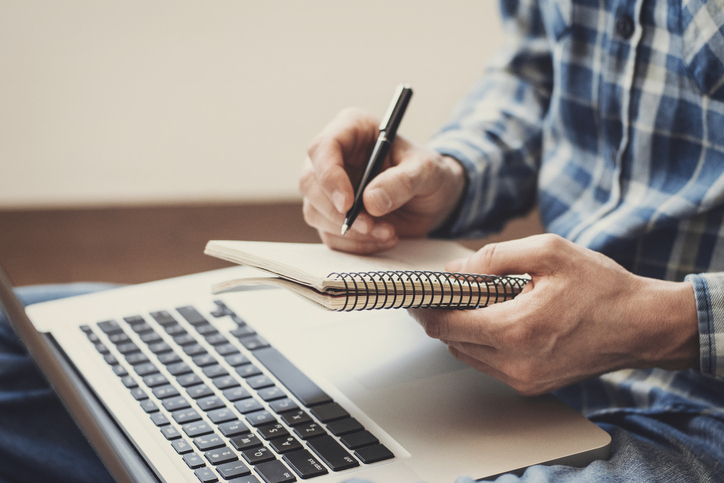 Completing a course online can be a highly cost-effective way of learning when compared to content which is delivered in a formal classroom setting. As the costs are lower to provide the course, these savings are passed onto the company or individual taking the course. A traditional, face-to-face course will need to factor in costs such as printed materials, textbooks, salaries, rent and utility bills, not to mention transportation. However, with online courses there are no costs involved in booking a training space or purchasing any study materials. And with mobile device technology advancing at an increasingly faster pace, students may not even need a computer to study, as course content can be easily accessed through their hand-held devices. There are a variety of situations which require qualifications to be achieved as soon as possible, from new job roles and changes in the workplace through to new regulations. An online course is instantly accessible, so there is no need to wait for a course date which could hold up productivity. Instead, an online course can be completed at the student’s pace and usually takes 40-60% less time than a classroom course. Online courses will often provide instant constructive criticism to students, which can speed up the qualification process and improve understanding. If a student completes exam questions and is informed of any incorrect questions, they can then read through the content and instantly correct their knowledge. In classroom environments, a grade is often given after a long period of time, but no feedback or time may be provided to allow the student to study the content in more detail. The varied structure of online course content is known to assist with information retention. The vibrant images, bold fonts, interactive activities, audio and video content enable students to understand the subject matter easily and relate everything to real-life examples. The discipline required to complete an online course is a brilliant way to develop new skills. Working through content and completing exams at set times shows that you can complete a goal and are accountable to yourself. On average, a course delivered online will consume 90% less energy and produce 85% less CO2 than a course offered in a classroom setting. These energy savings are made by fewer driving emissions and less use of paper. After all, the fewer cars on the road, the bigger the reduction in greenhouse gas emissions. Here at Boss Training, we offer a variety of Online Health and Safety Courses, including everything from fire marshal training and first aid, through to an approved UKATA Online Asbestos Awareness Course. Whether you are a business looking to comply with new regulations or an individual looking to enhance your skill set, contact our team today to find out more about our courses.